Note: Presently, there are four desktop editions of Windows 10 -- Home, Pro, Enterprise, and Education -- along with multiple versions of each, offering varying levels of beta and preview software. InfoWorld’s Woody Leonard breaks down which version of Windows 10 to use. The following Windows 10 security guide focuses on standard Windows 10 installations -- not Insider Previews or Long Term Servicing Branch -- and includes Anniversary Update where relevant. Windows 10 casts a wide net, with minimum hardware requirements that are undemanding. As long as you have the following, you’re good to upgrade from Win7/8.1 to Win10: 1GHz or faster processor, 2GB of memory (for Anniversary Update), 16GB (for 32-bit OS) or 20GB (64-bit OS) disk space, a DirectX 9 graphic card or later with WDDM 1.0 driver, and an 800-by-600-resolution (7-inch or larger screens) display. That describes pretty much any computer from the past decade. Modern AMD and Intel processors (Intel Management Engine, Intel Converged Security Engine, AMD Security Processor) already support TPM 2.0, so most machines bought in the past few years have the necessary chip. Intel’s vPro remote management service, for example, uses TPM to authorize remote PC repairs. But it’s worth verifying whether TPM 2.0 exists on any system you upgrade, especially given that Anniversary Update requires TPM 2.0 support in the firmware or as a separate physical chip. A new PC, or systems installing Windows 10 from scratch, must have TPM 2.0 from the get-go, which means having an endorsement key (EK) certificate preprovisioned by the hardware vendor as it is shipped. Alternatively, the device can be configured to retrieve the certificate and store it in TPM the first time it boots up. While some of the security features work with TPM 1.2, it’s better to get TPM 2.0 whenever possible. TPM 1.2 allows only for RSA and SHA-1 hashing algorithm, and considering the SHA-1 to SHA-2 migration is well under way, sticking with TPM 1.2 is problematic. TPM 2.0 is much more flexible, as it supports SHA-256 and elliptical curve cryptography. Unified Extensible Firmware Interface (UEFI) BIOS is the next piece of must-have hardware for achieving the most secure Windows 10 experience. The device needs to be shipped with UEFI BIOS enabled to allow Secure Boot, which ensures that only operating system software, kernels, and kernel modules signed with a known key can be executed during boot time. Secure Boot blocks rootkits and BIOS-malware from executing malicious code. Secure Boot requires firmware that supports UEFI v2.3.1 Errata B and has the Microsoft Windows Certification Authority in the UEFI signature database. While a boon from a security perspective, Microsoft designating Secure Boot mandatory for Windows 10 has run into controversy, as it makes it harder to run unsigned Linux distributions (such as Linux Mint) on Windows 10-capable hardware. To protect credentials and keys, Hello requires TPM 1.2 or later. But for devices where TPM is not installed or configured, Hello can use software-based protection to secure credentials and keys instead, so Windows Hello is accessible to pretty much any Windows 10 device. But the best way to use Hello is to store biometric data and other authentication information in the on-board TPM chip, as the hardware protection makes it more difficult for attackers to steal them. Further, to take full advantage of biometric authentication, additional hardware -- such as a specialized illuminated infrared camera or a dedicated iris or fingerprint reader -- is necessary. Most business-class laptops and several lines of consumer laptops ship with fingerprint scanners, enabling businesses to get started with Hello under any edition of Windows 10. But the marketplace is still limited when it comes to depth-sensing 3D cameras for facial recognition and retina scanners for iris-scanning, so Windows Hello’s more advanced biometrics is a future possibility for most, rather than a daily reality. Windows 10 formerly had Microsoft Passport, which enabled users to log in to trusted applications via Hello credentials. With Anniversary Update, Passport no longer exists as a separate feature but is incorporated into Hello. Third-party applications that use the Fast Identity Online (FIDO) specification will be able to support single sign-on by way of Hello. For example, the Dropbox app can be authenticated directly via Hello, and Microsoft’s Edge browser enables integration with Hello to extend to the web. It’s possible to turn on the feature in a third-party mobile device management platform, as well. The password-less future is coming, but not quite yet. Windows 10 also introduces Device Guard, technology that flips traditional antivirus on its head. Device Guard locks down Windows 10 devices, relying on whitelists to let only trusted applications be installed. Programs aren’t allowed to run unless they are determined safe by checking the file’s cryptographic signature, which ensures all unsigned applications and malware cannot execute. Device Guard relies on Microsoft’s own Hyper-V virtualization technology to store its whitelists in a shielded virtual machine that system administrators can’t access or tamper with. To take advantage of Device Guard, machines must run Windows 10 Enterprise or Education and support TPM, hardware CPU virtualization, and I/O virtualization. Device Guard relies on Windows hardening such as Secure Boot. AppLocker, available only for Enterprise and Education, can be used with Device Guard to set up code integrity policies. For example, administrators can decide to limit which universal applications from the Windows Store can be installed on a device. Configurable code integrity is another Windows component which verifies that the code running is trusted and sage. Kernel mode code integrity (KMCI) prevents the kernel from executing unsigned drivers. Administrators can manage the policies at the certificate authority or publisher level as well as the individual hash values for each binary executable. Since much of commodity malware tends to be unsigned, deploying code integrity policies lets organizations immediately protect against unsigned malware. Windows Defender, first released as standalone software for Windows XP, became Microsoft’s default malware protection suite, with antispyware and antivirus, in Windows 8. Defender is automatically disabled when a third-party antimalware suite is installed. If there is no competing antivirus or security product installed, make sure that Windows Defender, available across all editions and with no specific hardware requirements, is turned on. For Windows 10 Enterprise users, there is the Windows Defender Advanced Threat Protection, which offers real-time behavioral threat analysis to detect online attacks. When BitLocker is enabled on the system drive and brute-force protection is enabled, Windows 10 can restart the PC and lock access to the hard drive after a specified number of incorrect password attempts. Users would have to type the 48-character BitLocker recovery key to start the device and access the disk. To enable this feature, the system would need to have UEFI firmware version 2.3.1 or later. Windows Information Protection, formerly Enterprise Data Protection (EDP), is available only for Windows 10 Pro, Enterprise, or Education editions. It provides persistent file-level encryption and basic rights management, while also integrating with Azure Active Directory and Rights Management services. 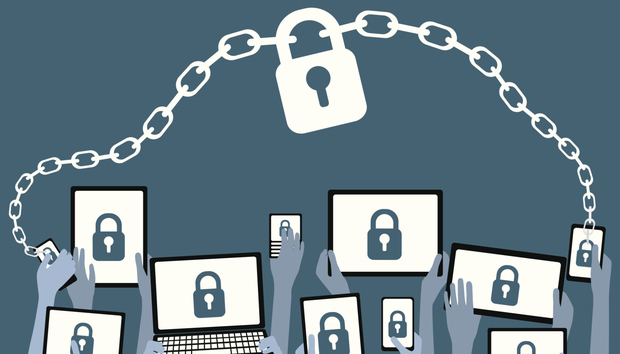 Information Protection requires some kind of mobile device management -- Microsoft Intune or a third-party platform such as VMware’s AirWatch -- or System Center Configuration Manager (SCCM) to manage the settings. An admin can define a list of Windows Store or desktop applications that can access work data, or block them entirely. Windows Information Protection helps control who can access data to prevent accidental information leakage. Active Directory helps ease management but is not required to use Information Protection, according to Microsoft. Credential Guard, available only for Windows 10 Enterprise and Education, can isolate “secrets” using virtualization-based security (VBS) and restrict access to privileged system software. It helps block pass-the-hash attacks, although security researchers have recently found ways to bypass the protections. Even so, having Credential Guard is still better than not having it at all. It runs only on x64 systems and requires UEFI 2.3.1 or greater. Virtualization extensions such as Intel VT-x, AMD-V, and SLAT must be enabled, as well as IOMMU such as Intel VT-d, AMD-Vi, and BIOS Lockdown. TPM 2.0 is recommended in order to enable Device Health Attestation for Credential Guard, but if TPM is not available, software-based protections can be used instead. Windows 10 supports mobile device management across all editions, but needs to be integrated with a separate MDM platform, such as Microsoft Intune or a third-party platform such as VMware’s AirWatch. If MDM is on the list, the best scenario would be to avoid Windows 10 Home, as not all capabilities are available in that edition. MDM and SCCM platforms can also use the Windows Device Health Attestation Service, available across all editions, to manage conditional access scenarios. Group Policy is a powerful tool for Windows administrators, but it is available with only Pro, Enterprise, and Education editions. Domain join and Azure Active Directory Domain join, which enable single sign-on for cloud-hosted applications, are also powerful administrator tools available for Pro, Enterprise, and Education editions. Azure Directory Domain join requires a separate Azure Active Directory. Though not strictly a security feature, Assigned Access lets administrators lock down the interface on Windows 10 devices so that users are limited to specific tasks. Available only with an Enterprise E3 subscription (or Education), Assigned Access can restrict access to services; block access to Shut Down, Restart, Sleep, and Hibernate commands; and prevent changes to the Start menu, the taskbar, or the Start screen. Organizations that have deployed DirectAccess infrastructure for remote access will need Windows 10 Enterprise or Education to connect. While Windows 10 Home may be the most limited of the desktop editions when it comes to security, that doesn’t mean users have to shell out for Enterprise to get any of the new features. Regardless of edition, Windows 10 is Microsoft’s most secure operating system to date, and a constant release of security patches, feature updates, and version upgrades will keep it that way. Everyone’s security needs are different. Make sure to buy the edition and establish the configuration that gives you the optimal security you are looking for.